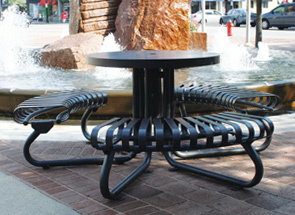 Good looks and rugged durability define this all steel table with it's 36" diameter top and umbrella hole plus extra wide seats that can accommodate 3 adults or 6 children. The ADA model is modified to allow for a 30" wide	wheelchair access point. 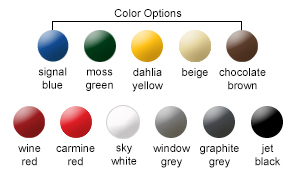 Long lasting powder-coat colors are available as shown.